We know print design. Not only does our team boast decades of cumulative experience, but we’re actually housed inside a print shop. This means that every day we get a whopping dose of how print really works (and what doesn’t work). The following piece is a great illustration of how we use that knowhow to deliver a lot of bang for your print buck. 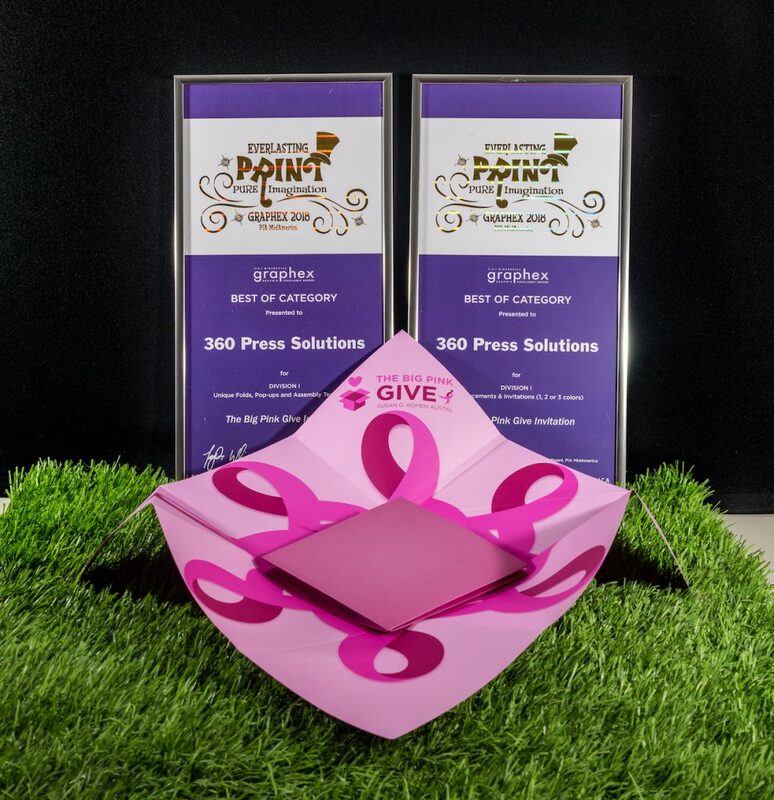 Create an unusual invite for Komen Austin’s annual gala, one that would stand out from the many invitations that the city’s philanthropists receive for fundraising events. We worked closely with a rep at our sister printing company to develop a design that would be both unique and cost-effective for this non-profit. The invitation consisted of several pieces: two small, square cards (one containing the event information, the other a reply card), a large, square piece that origami-folded around the smaller squares to create a dramatic effect, and translucent paper that wrapped around the entire piece for mailing. 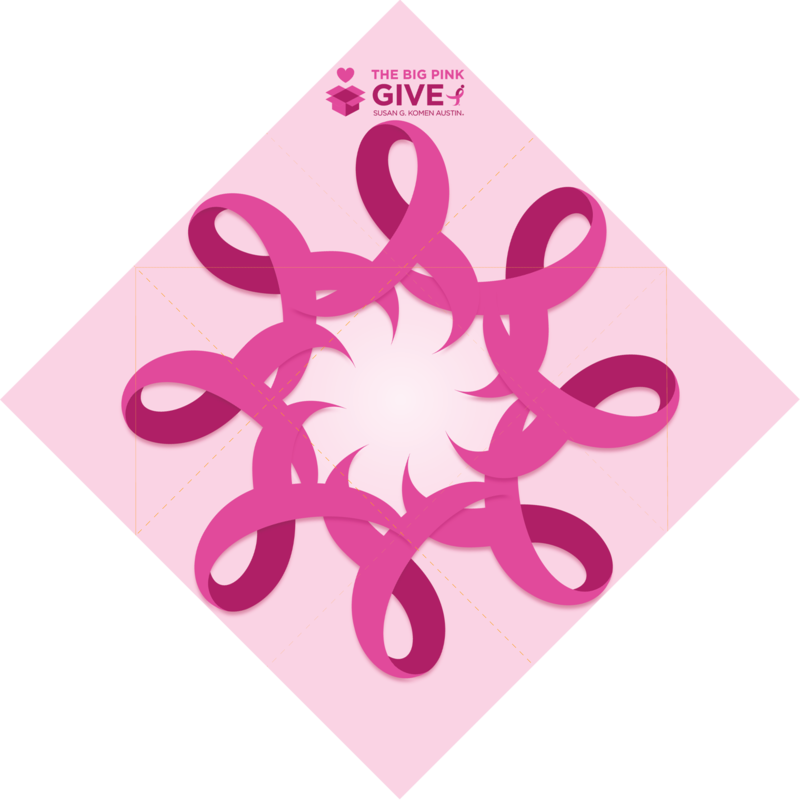 The larger origami piece was made generic (with only the Komen ribbon and name of the event printed on it, but not the event date), so that the organization could save some money by printing extras and using them for thank you notes. We also helped the organization save money by giving them instructions for folding the origami piece. They had a group of their volunteers perform this task and address the pieces for mailing. 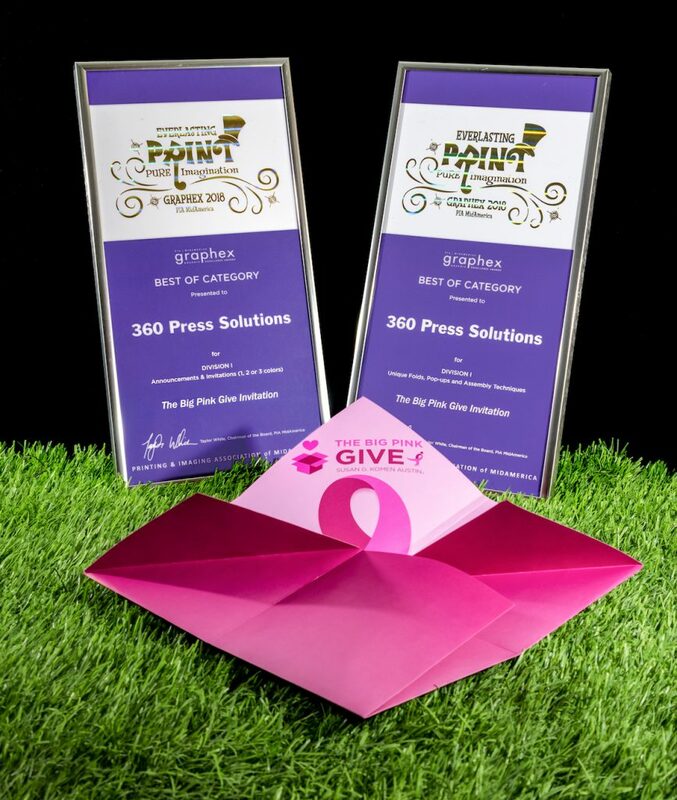 The gala raised 50% more than their goal that year, and Komen Austin’s executive director attributed some of that success to the design of the invitation. … and then went on to win the following awards at PIA’s national level.